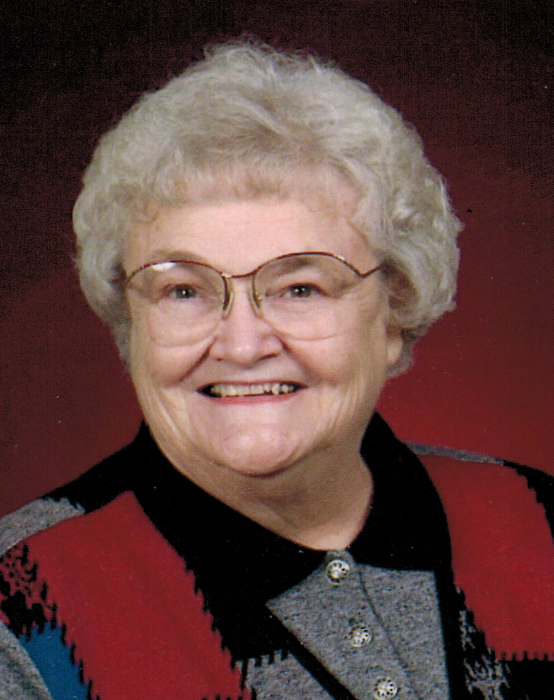 LaVonne Ann Fruechtenicht, 85, of Eldridge, Iowa, died on Tuesday, January 29, 2019 at Grand Haven Retirement Community in Eldridge. A memorial service to celebrate her life will be held at 11:00 a.m. on Saturday at Faith Lutheran Church in Eldridge. Visitation will be from 9:00 a.m. until the time of services at the church. In lieu of flowers, memorials may be directed to Faith Lutheran Church or to the Grand Haven Retirement Community Activity Fund. Chambers Funeral Home of Eldridge, is assisting the family with arrangements. LaVonne was born April 21, 1933 in Clinton County, Iowa, the daughter of Ralph and Anna (Haferbier) Mohr. She graduated from Goose Lake High School in 1951 and from the University of Northern Iowa in 1955 with a degree in Business Education. She attained a Master’s Degree at the University of Iowa in 1960 and taught high school in LeGrand and Bettendorf, Iowa. On December 18, 1960, she married Aaron Fruechtenicht at Immanuel Lutheran Church in Charlotte, Iowa. He preceded her in death in 2014. LaVonne enjoyed her life as a farm wife and mother. When her children were older, she worked for ten years as a medical receptionist and bookkeeper for Drs. John Barker and Michael Schreck. She enjoyed counted cross stitch, traveling, and all types of puzzles. She was a member of Faith Lutheran Church. Those left to honor her memory include her sons, Gary (Georgia) Fruechtenicht of Palmetto, Georgia, Brian (Deborah) Fruechtenicht of Reno, Nevada; step-daughters, Susette Fruechtenicht of Rock Springs, Georgia, Mary MacDonald of Lanexa, Virginia, Linda (Louis) Bailey of Lexington, Kentucky; grandchildren, August and Virginia Fruechtenicht; step-grandchildren, Paula MacDonald-Gainey, and Joshua and Sean Hayes; step-great-granddaughters, MacKenzie and Emma Gainey; sister, Myrna Earhart of Hiawatha, Iowa; and brother, Merlin (Rhoda) Mohr of Houston, Texas. In addition to her parents and husband, she was preceded in death by a sister, Dona Ruchotzke. The family wishes to thank the staffs of Grand Haven Retirement Community, Heartland Hospice, and Dr. Michael Schreck for their assistance during the past few months of LaVonne’s life. Online condolences may be shared with LaVonne’s family by visiting her obituary at www.McGinnis-Chambers.com.